This year’s mission is bringing Christmas to over 200 children in 40 SoCal cities, 14 states, Puerto Rico, and the Navajo Reservation; our wounded heroes are all over the United States. 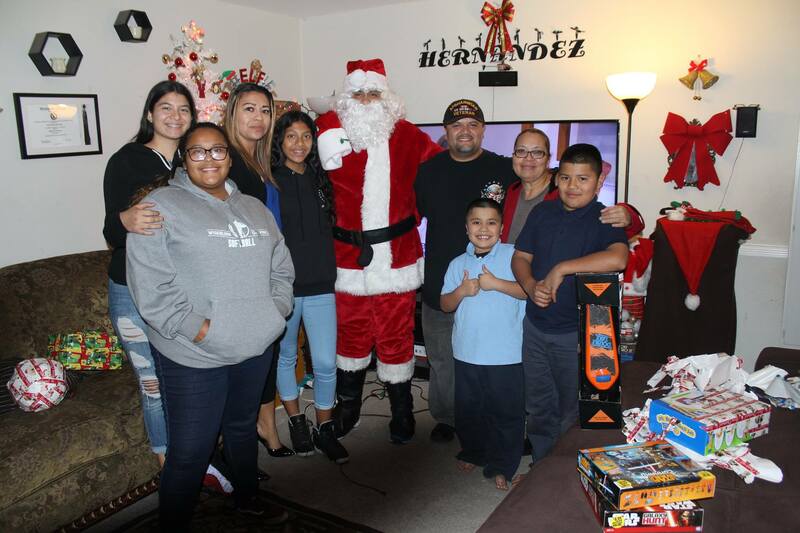 Year-by-year, with the help of great friends like El Segundo Fire Department “Spark of Love”, WHOA has managed to have a veteran dress-up as Santa Claus and deliver laughs, joy, and gifts to daughters and sons of other fellow veterans. The smiles and gratitude this moment creates, resonate in the children, their parents, and the families of all the households we touch. You can help us continue Operation Santa and the mission to support the families of our wounded and fallen heroes. Our Toy Drive is open until December 22! $5, $10, $15 make a difference when good hearts come together. The funds raised in this dedicated campaign will cover additional toys, gift wrap, and delivery expenses. We process transactions using Authorize.Net to protect your identity. One-time donation to WHOA 2018 Operation Santa.